Reception service, safety boxes at thr lobby area, elevator, Internet service at the lobby, Wi-Fi at the lobby, outdoor swimming pool for adults and children. Hydro massage by the swimming pool and satelite TV at the lobby. 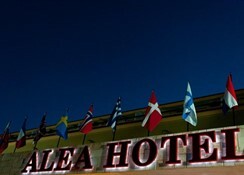 Hotel is just a stones away from the variety of restaurants, super markets, as well as clothes shops, banks and pharmacies. 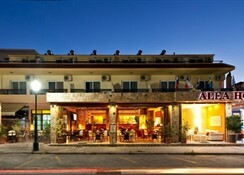 Hotel is is located in Ialysos, 5km from Rhodes town, 4km from International airport and 6km from central harbor. The hotel offers 28modern comfortable self-catering studios, each of which are between 25-34 square metres and ideal for 2-3 and 4 people. Direct dial telephone, fridge, kitchenette facilities, cooking rings, color TV, a/c, w.c, bath or shower, balcony or terrace and wi-Fi. From Diagoras airport, very easy access at the hotel by following the main street to Kremasti and Ialysos. A lovely place, great people, small friendly family run complex in a great location.